Veterinary nurses care for sick, injured and hospitalised animals and play a pivotal role in promoting animal welfare. Available in London, Leeds, and Huntingdon (Cambridgeshire), our course was the first veterinary nursing degree in Europe and we are one of Britain's leading programmes, attracting students from not just the UK but overseas as well. Why study BSc Veterinary Nursing* at Middlesex University? We focus on building vital professional experience, preparing you for the workplace. Alongside theoretical classes, 50% of study time is spent on placement in a veterinary practice where you will develop essential clinical skills. Our innovative learning approach ensures you graduate armed with the skills to undertake a range of diagnostic tests, medical treatments and minor surgical procedures, under veterinary direction. We seek students who can demonstrate the right acumen for this challenging course. To be an excellent veterinary nurse requires a calm and confident manner, and the ability to be sympathetic in sensitive situations. The demand for registered veterinary nurses is high and employment prospects are excellent not only in veterinary practice, but also across related areas such as academia, research and the pharmaceutical industry. *Please note this course is subject to review. The course content is excellent, with an extensive mix of topics covering all aspects of surgical and medical nursing. What will you study on the BSc Veterinary Nursing? The three-year course blends 50% on placement in veterinary practices with 50% theory. You will study the concepts that underpin professional veterinary nursing practice and gain essential nursing knowledge. The anatomical, biomedical and physiological principles related to animal health and caring are also studied, and you will explore and debate current issues affecting veterinary practice, and the role of the professional nurse within this. You will develop the skills to be an independent professional who is able to make decisions, show leadership and work effectively in teams within a veterinary environment. Upon graduation you will be able to demonstrate a range of practical skills and techniques to implement successful veterinary nursing care. This module provides you with the theoretical underpinning knowledge relating to the health and safety within the practice environment. It also includes a broad foundation for communication and study skills which will stay as a lifelong skill for the Veterinary Nurse in practice, as well as providing an insight into ethics, legal theories and professional issues. This core module will provide you with the theoretical underpinning knowledge relating to the care of companion animals, observation, nutrition and care of the hospitalised patient and first aid (relating to animals). Theory and legislation relating to practice organisation and ethics, pharmacy and dispensing is also included in this module to provide a broad foundation for your practical placements in veterinary practice. During this core module, you will undertake two blocks of practice experience, each 14 weeks in length, totalling 28 weeks in practice (taught via External Practice placement). An introduction to physiology and anatomy which is fundamental to understanding the biological processes occurring in dogs, cats, equines and exotics. You will also develop your practical skills in identifying key anatomical features and landmarks required in your day to day nursing practice. This module aims to build upon the Basic Nursing Care module taught in the first year. You will learn more specialised techniques in nursing and will also develop skills in helping to support clients in caring for their unwell pets. This module provides an understanding of some of the body's responses to disease processes, trauma, and the pathological changes which occur in illness and which inform the planning and assessment of client care. This module is science based and incorporates approximately 50% laboratory based work. The module covers the areas of general pathology, clinical pathology and an overview of diseases in different organ systems. The aim of this module is to teach the principles of theatre practice in a practical context, using the NPL as a tool for recording competence. A range of resources will be provided online to assist with your knowledge. Participation in all activities is compulsory and time should be allocated during the day and in your own time, to complete this work. You will undertake two blocks of practice experience, one 10 weeks long and the other 14 weeks, totalling 24 weeks in practice. You will develop skills in research criticality and appraisal of evidence using a team based approach. You will look at evidential literature, evaluation of evidence, and the use of evidence to support problem solving and decision making. The aim of this module is to build on knowledge gained throughout the programme in order to develop an understanding of some basic pharmacological principles and their application to patient care. In addition, to facilitate the acquisition of relevant practical skills in order to produce practitioners who are safe and competent in the administration of drugs. This module enables you to build on current knowledge, skills and experience within the surgical area. The module will cover surgical nursing, anaesthesia, radiography and triage. The module will incorporate the relevant sections of the RCVS Veterinary Nursing Day-One Skills. You will undertake one block of 14 weeks practice experience. This module aims to synthesise your learning, providing an opportunity for you to study independently and investigate a topic in depth. It fosters academic curiosity, an inquiry based approach, and the employment and application of research skills thus facilitating the development of a higher level of theorising. You will select a topic of personal interest you wish to study further and will manage your own learning during this module, with the support of an allocated supervisor for this period of independent study. This elective module provides the necessary understanding and experience required for nursing in equine practice or other areas of equine work. Horses are uniquely susceptible to a variety of illnesses and injuries that require skilled nursing management. Working with horses requires specific skills in restraint, handling and management. An insight into the equine industry and people involved at various levels will also be approached. The module aims to allow development of the necessary knowledge and skills in theory and practice sessions. The aim of this elective module is to equip you with the necessary knowledge and skills required for the understanding of behavioural problems presented to the typical small animal veterinary practice. This elective module analyses the concepts of housing, handling, husbandry and environment of exotics and wildlife to include 10 of each species such as birds, reptiles and mammals. It will equip you with the necessary knowledge, skills and experience required for nursing wildlife and exotics. Working with wildlife requires specific skills in restraint, handling and management whilst working within the constraints of legal requirements. This elective module aims to prepare you for clinical practice and to deepen understanding and promote critical appreciation of the theories of learning and principles of teaching to enable effective facilitation and assessment of a variety of learners within the clinical field. It will draw upon the concepts of reflection, nursing models and the VN's role in teaching and assessing in clinical practice. You can find more information about this course in the programme specification. Optional modules are usually available at levels 5 and 6, although optional modules are not offered on every course. Where optional modules are available, you will be asked to make your choice during the previous academic year. If we have insufficient numbers of students interested in an optional module, or there are staffing changes which affect the teaching, it may not be offered. If an optional module will not run, we will advise you after the module selection period when numbers are confirmed, or at the earliest time that the programme team make the decision not to run the module, and help you choose an alternative module. How is the BSc Veterinary Nursing degree taught? Work placements are a vital part of this course, and your learning will be split equally between theory and practice. You will learn first by observing and then by practising yourself, and you will keep a logbook of your learning and progress during your placements. You will also submit a dissertation, give presentations, work on problem-solving exercises and supplement all this with your own study. The majority of teaching is delivered during classroom and practical sessions on campus, the remainder is delivered via online learning. Online modules are to be completed during placement blocks alongside NPL (Nursing Progress Log). You will be assessed through exams, including an external practical exam, and practical observations. You will also submit coursework, including your dissertation, your portfolio, work reports and reflective journals. Other forms of assessment will include presentations and drug calculations. Students will give feedback on each other's work. This course is run in collaboration with The College of Animal Welfare, the UK's largest veterinary nurse training provider. The course is available at Middlesex University (Hendon campus) and at The College of Animal Welfare's centres near Huntingdon and Leeds. The College of Animal Welfare has significantly invested in its technology and facilities over the recent years; providing a fully equipped computer suite, an extensive e-Library and dedicated clinical skills suite that will allow you to develop your practical skills in areas such as anaesthesia, theatre, laboratory and radiography. The programme delivery, structure and assessment will be the same for all students, regardless of which location you choose to study at. The Huntingdon campus is located at The College of Animal Welfare. 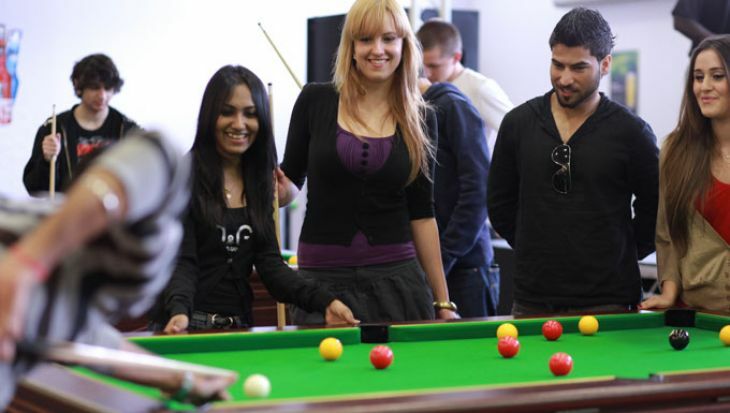 The campus has excellent transport links being only half a mile away from the A14 and a few miles from the A1 for those travelling by car, and within walking distance of both the bus and train station (London Kings Cross line). There is free, on-site parking, subject to availability. 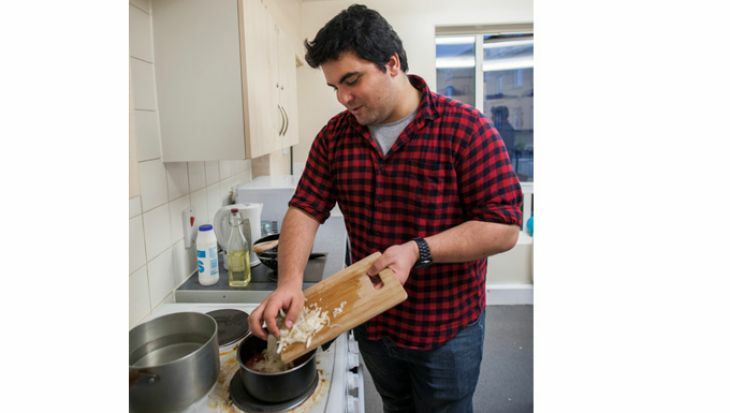 Those studying at this location will ideally live within a commutable distance of the campus. If you will be moving to the area, you will need to source local accommodation. 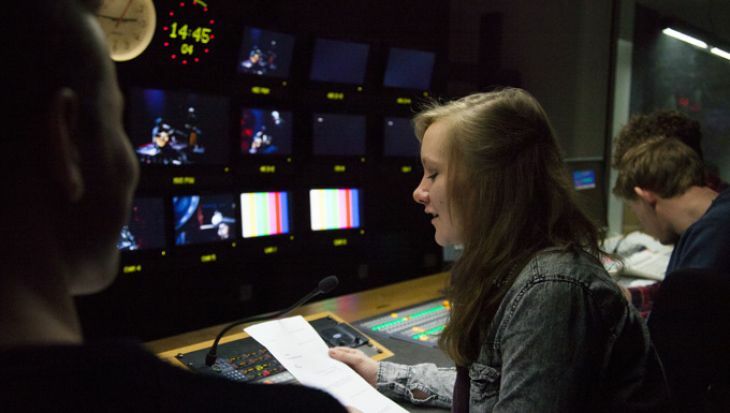 Find out more about the Huntingdon campus. The Leeds campus is located at The College of Animal Welfare near Tingley. There is good main road access, being located just off of junction 28 of the M62 and the campus is only a 15 minute drive from Leeds city centre. A bus to Leeds city centre is a few minutes' walk from the campus. There is free, on-site parking, subject to availability. Find out more about the Leeds campus. Learning in placement will complement the theory gained in the classroom and create opportunities to see its application demonstrated and then practise those skills where and when appropriate to record competence gained to the standard required by practice staff who will oversee your learning. In addition, you will be supported by our personal tutor arrangements and be able to seek module leader guidance by appointment. You will also have access to and use resources to support your learning including; access to Kortext, e-learning, Virtual Learning Environment (VLE), My Learning on Unihub (including on-line quizzes, additional recommended reading, podcasts and other media. You will also be assigned a Clinical Coach whilst in the Veterinary Practice environment to guide and support you and sign off competencies and skills as gained to the appropriate standard in the working environment throughout your course. Two periods of 525 hours of Work placement (totalling 1050 hours) in a registered Veterinary Training Practice with an assigned Clinical Coach. When not attending your teaching sessions mentioned above, you will be expected to continue learning independently through self-study. Typically, this will involve reading journal articles and books, working on projects, undertaking research, and preparing for assessments including coursework, practice evaluations and formal practice assessment tools, personal development logs, presentations and examinations. Your independent learning is supported by the facilities available including the library and Study Hub, Laptop hire, and with online materials in MyUniHub (see student support section below). Progression and Support Advisors to assist you with if you experience difficulties with your studies. These services can be accessed through the UniHelp Desk in the Library building. You will be taught by an experienced teaching team who have expertise, knowledge and experience that is closely aligned to the content of the modules on offer. The team includes academics, professional practitioners, and technical staff. Graduate Teaching Assistants or trained postgraduate research students may also have input into your teaching under the supervision of the module leader. Further details of the teaching staff can be found in the staff profiles tab on the course pages. The course will provide you with opportunities to test your knowledge and understanding informally through ‘formative’ assessment. Formative assessment for this course is provided through written and practical assessment which will provide feedback to support you towards the formal ‘summative’ assessment. (Formative assessments are developmental and any grade you receive from formative assessment does not count towards your final marks). The formal ‘summative’ assessment usually occurs towards the end of the module, although there may be periodic assessments that contribute to your final mark for that module. 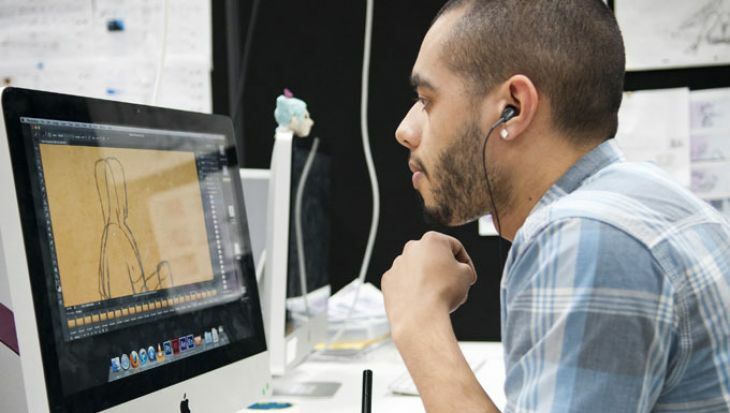 Assessment methods could include written examinations, a range of coursework including essays, reports, portfolios, dissertation, veterinary placement based assessment tools, and practical sessions including performance, presentations or lab based exams. The grades from the summative assessments count towards your module mark. Assessments are reviewed annually and may be updated based on student feedback, to suit content or based on feedback from an external examiner. You will receive feedback from formative assessments, and written summative assessments. Feedback on examination performance can be requested from the module leader. Feedback is intended to help you learn and progress, and you are encouraged to review and discuss your feedback with your module or through the personal tutor arrangements. We will aim to provide you with feedback within 15 working days of submission. Details of progression and pass marks for assessment can be found in the university regulations. 96 UCAS points (including grade C in a Science subject). A minimum of 5 GCSE's at grade C or above in English Language, Mathematics and Science. Applicants who are over 21 years of age and meet the minimum entry requirements (five GCSEs at grade C or above in Mathematics, English Language, a Science plus two others) but do not hold further qualifications, and are able to show high levels of ability and experience within the veterinary care sector (evidenced by a supportive reference by a Veterinary Practice Principal), are invited to apply. 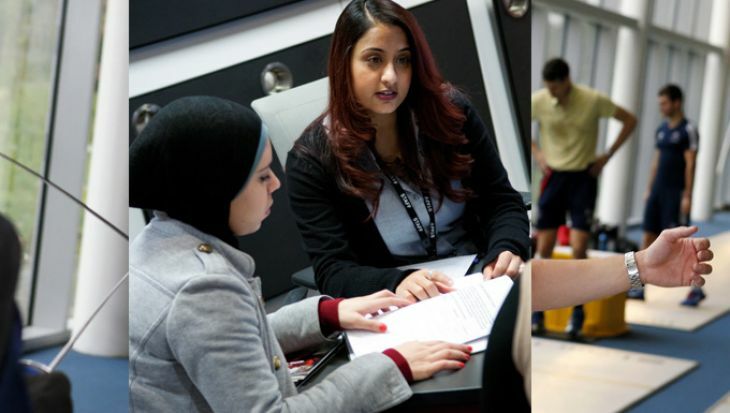 Middlesex University has a flexible and personalised approach to admissions and we accept applications from students with a wide range of qualifications and a combination of qualifications. 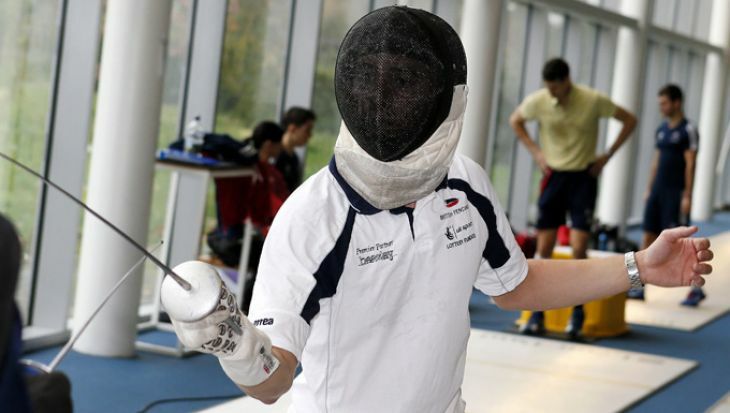 Please check our general entry requirements page to see how these points can be achieved from our acceptable level 3 qualifications and the combinations which are welcomed by Middlesex University, including GCSE requirements. Applications from mature candidates without formal qualifications are welcomed, provided they can demonstrate appropriate levels of relevant ability and experience. Please note, due to restrictions placed on students with a Tier 4 visa undertaking part-time study by the UKVI, courses requiring a placement cannot be studied by International students. To apply for the BSc in Veterinary Nursing you will need to have a minimum of four weeks (each week 35 hours) work experience within a veterinary practice in order to have developed animal handling skills and obtained an insight into the work of veterinary nurses. You will need to have completed the minimum requirements to enter onto the course. The experience does not need to be in an RCVS approved training practice, although this would be beneficial. For offer making purposes, the University will only consider work experience that has taken place in the period two years immediately before the course start date to ensure that you have recent experience on the most up to date approaches and procedures carried out in veterinary practice. Further information: Applicants are encouraged to have at least two weeks recent experience (no more than two years prior to the interview date), in a veterinary practice before they can be considered for interview. It is the responsibility of the student to provide the evidence of the experience when requested. This evidence must include a reference from each practice attended. A total of at least four weeks is required overall to meet the work experience element of the entry requirements. The RCVS has a website facility called Find a Vet which can be helpful when locating a veterinary practice based on a postcode search. It is important when contacting veterinary practices for relevant work experience you explain that you are applying to study Veterinary Nursing at degree level at University and that it is an entry requirement for the course. The demand for places on this programme is extremely high and as a consequence selection is competitive. Offers of places are given through a process of initial application and academic assessment, group interview and discussion and written assessment. Applicants with a keen interest in enjoying a career in veterinary nursing and who can demonstrate a caring and professional approach to their work are likely to be of most interest to admission tutors. Online English and Maths Assessment using Basic & Key Skills Builder (BKSB). The element of this application that we are utilising is used widely to evaluate, through on-line assessments, the skill levels at which individuals are working with regard to their literacy and numeracy skills. These results will contribute to our decision-making and assist in determining, along with other aspects of recruitment process, whether we wish to make an offer to the applicant so it is important that applicants complete these to the best of their ability. As part of the interview process, applicants will be participating in a group discussion as well as a practical task. The practical task is designed to review skills such as dexterity, problem-solving, team-working and personal interaction. 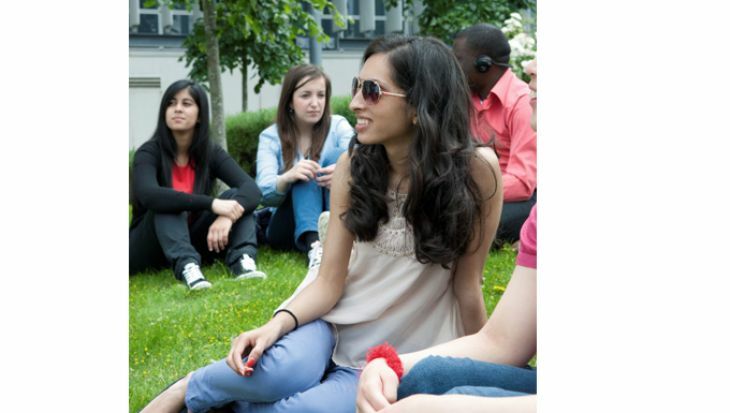 Overseas applicants would first be invited to attend an interview at any of the three campuses, ideally one to which the applicant has applied. However if an applicant is unable to make the journey they can request an interview via Skype. The Skype arrangements will be made by direct communication with CAW, once we are aware of the applicant’s wishes. Prior to applying for this programme, please ensure you read the Royal College of Veterinary Surgeons (RCVS) Disability Guidance on the Recruitment of Veterinary Nurse Students. For more information, please view our How to apply tab. You must have competence in English language to study with us. The most commonly accepted evidence of English language ability is IELTS 7.0. Please note: For those that require a Tier 4 Visa, there is a UKVI requirement of a minimum score of 5.5 in each component. Our admission team will contact you within four weeks of your UCAS application to inform you whether you have been shortlisted. If your application is successfully shortlisted, you will be invited to attend an interview. For help with your application, please view our undergraduate application page. The fees below refer to the 2019/20 academic year unless otherwise stated. *Course fees are subject to annual inflation. For more information and to answer your frequently asked questions, please visit our undergraduate funding page. How can the BSc Veterinary Nursing support your career? There is a current shortage of registered veterinary nurses meaning the profession offers excellent career prospects within veterinary practice and the wider industry. Veterinary Nurses are respected throughout the animal welfare sector offering wider opportunities for registered veterinary nurses. 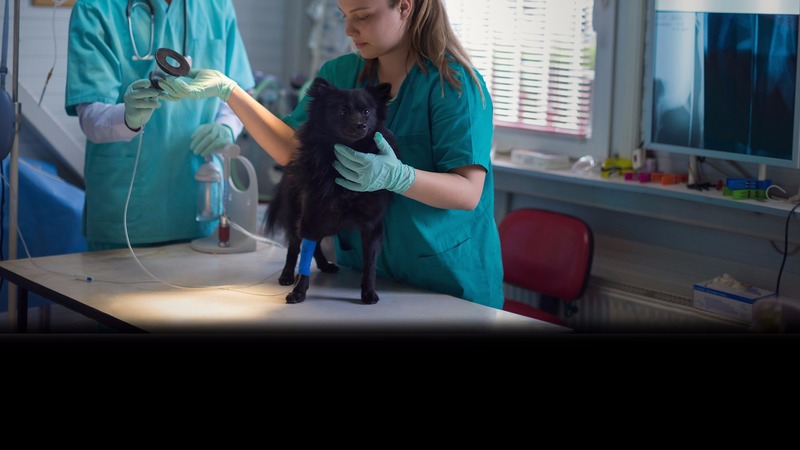 Many veterinary nurses are employed in general veterinary practices, but you could also find work in research establishments, laboratories, universities, colleges, zoological/wildlife parks, charities, pharmaceutical companies and breeding/boarding kennels. The course is accredited by the Royal College of Veterinary Surgeons. The facilities at our three Veterinary Nursing sites will equip you with the professional experience needed for the workplace. Claire Defries qualified as a Veterinary Nurse in 2001 and developed interests in endoscopy, laparoscopic procedures and anaesthesia. She gained a Diploma in Advanced Veterinary Nursing (Medical) whilst working in a university referral hospital where she coordinated all of the diagnostic areas of the hospital. Claire also worked as a head nurse in a North London hospital before moving into teaching. When Claire is not teaching she is also working as a locum registered veterinary nurse, which helps her keep up to date with current advances in clinical practice. She has lectured at BSAVA, BVNA and AVSPNI conferences on various clinical and educational topics within the profession. One of the things that really appeals about this course is the facilities, which are great, and the staff who represent the course. It was also handy being able to get to both the campus and the College of Animal Welfare from my home. I've loved working with animals in a clinical environment and the theory has been really challenging. I'm particularly proud of a piece of work where I investigated hyperthyroidism in cats. As a mature student who has previously worked in (human) nursing, I've done my fair bit of full-time employment. I'm hoping this qualification will enable me to work part-time in a veterinary hospital. I would also recommend Middlesex University to other mature students. I have never felt different or treated differently, only occasionally mistaken for a tutor or member of staff! The course content is excellent, with an extensive mix of topics covering all aspects of surgical and medical nursing. 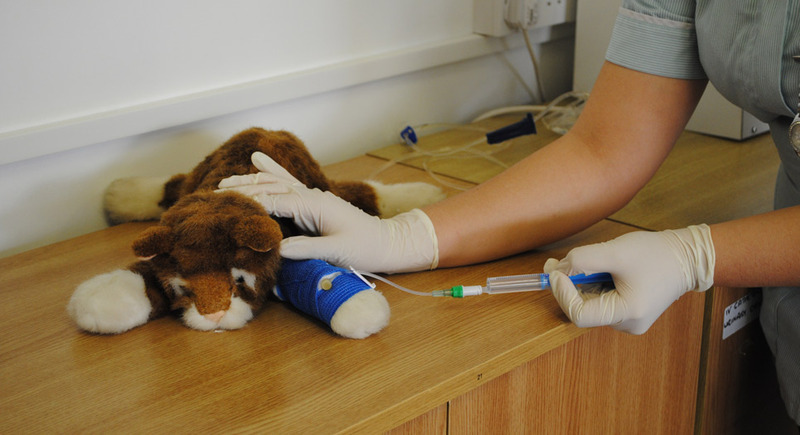 Modules such as ethics and professional practice allow the opportunity to discuss the role of the veterinary nurse and prepare you for your career. Many of the lecturers are veterinary surgeons and long registered veterinary nurses, so you are learning from experienced and knowledgeable veterinary professionals who have all worked in the industry. The University assisted me in finding a placement at a large veterinary hospital where I stayed for the whole of my degree. This enabled me to learn practically from some excellent vets and nurses whilst I completed the whole of my Nursing Progress Log. I chose to go to Middlesex; the clincher was that they were the first VN degree in the country. They wrote the course and set the bar for other universities in the country. I wanted to be taught by the path finders in my field. My lectures were always engaging and made you feel they genuinely cared. They felt more like friends and colleagues than they did lecturers. I loved the fact I got to spend so much time in placement and really get into the swing of things, knowing that help was only ever an email away if you needed it. I always knew I wanted to work with animals and up until recently I wanted to be a vet. I wanted to enjoy my job, but not live to work. Being a nurse, I feel respected for my knowledge; I enjoy my job, I work hard and I'm always busy, but it doesn't take over my life. I work to live.